A light rain is falling on the forest and Lumpy Ridge. The refreshing and cool spring rain has coated all the foilage with droplets of moisture and help to bring out their vibrant spring colors. This small group of Aspen trees were especially vivid in the soft diffused light. 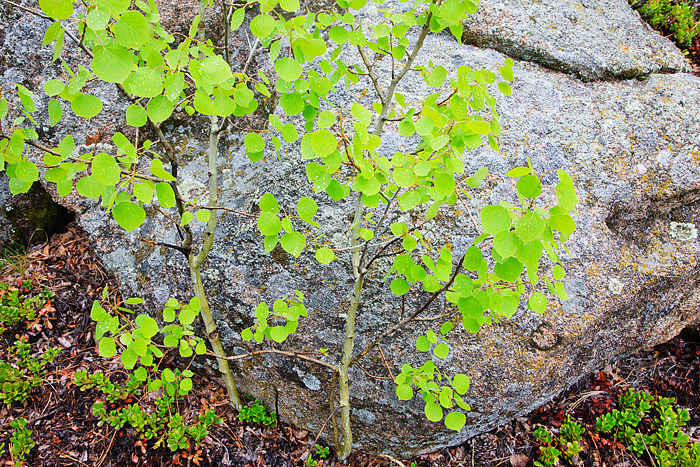 When the aspen leaves first bud out in spring they have a beautiful lime like translusence. Photographing in this kind of weather and light helps to bring out the beauty and pop in these subtle scenes. Photo © copyright by Thomas Mangan.